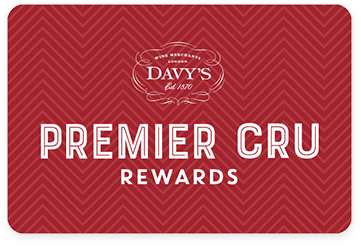 Premier Cru Rewards - Purchase this today and earn 59.85 points to redeem for free wine and gifts. The Bories family have been making wine in Corbières since 1896 and owns some of the oldest vines in Languedoc. They are dedicated to produce wines that reflect the changing nature of a vintage, without trying to adulterate them by using techniques that tend to standardise the wines produced. Made with 45% Carignan, 20% Grenache, 25% Mourvèdre and 10% Syrah this wine was matured for 12 months in oak barrels (30% new). Intense nose with blackcurrant and cacao aromas and liquorice notes. Full bodied and very ripe on the palate with good concentration of fruits and velvety tannins well balanced with the acidity. Good length. Savoury, herbaceous garrigue herbs on the nose with hints of spice and black pepper. Firm tannins on the palate but very fresh with soft, concentrated dark (slightly stewed) fruit and leather flavours. Very long with excellent ageing potential. Located at the heart of Boutenac, one of the 11 sub-zones of Corbières, the Bories family owns 150 hectares of vineyards that benefit from a South East exposition. Their vines are naturally protected from the north wind and catch longer sunshine. 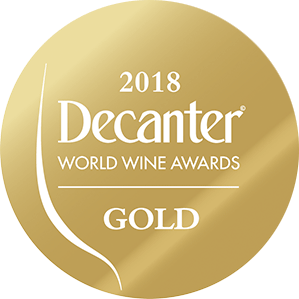 They mainly grow local varieties; Carignan (with vines being between 50 and 100 years old), Syrah, Grenache Noir, Mourvedre, Roussane and Marsanne. In charge of the estate today, Pierre Bories is dedicated to produce wines that truly reflect their terroir. In order to do so, he adapts his approach both in vineyards and winery to the changing nature of the vintages, without trying to adulterate them by using techniques that tend to standardise the wines produced. View our selection. The Bories have been making wine in Corbières since 1896. In the 1980s, Jacqueline and François decided to buy parcels of vines and refused to pull up the oldest vines, unlike most producer of the region. They now owns some of the oldest vines in Languedoc. At present their vineyards are under restructuration with one goal in mind: growing the different varieties on the most suitable soil in order to create blends that will gain in delicacy and complexity. No new vines are planted without a prior in-depth analysis of the soil. Parcels benefit from very intense care, including disbudding, leaf thinning and green harvesting and they have now started their transition to become fully organic. In the winery, micro vinification and fermentation with indigenous yeasts are used to emphasise the particularities of each terroir so their wine can express their individuality.